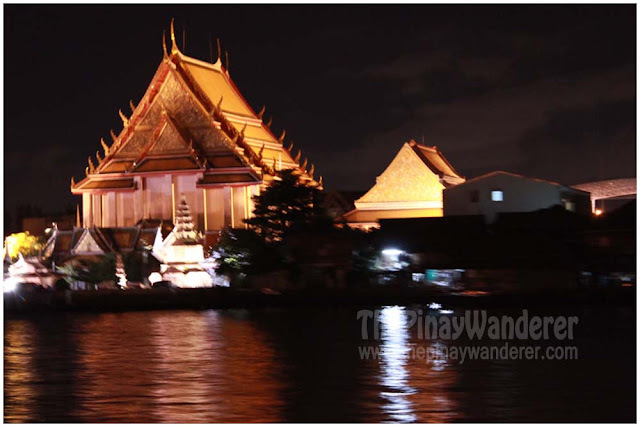 During our city tour and before leaving for the Grand Palace, Sam our tour guide, asked us if we might be interested on a river cruise later in the evening. 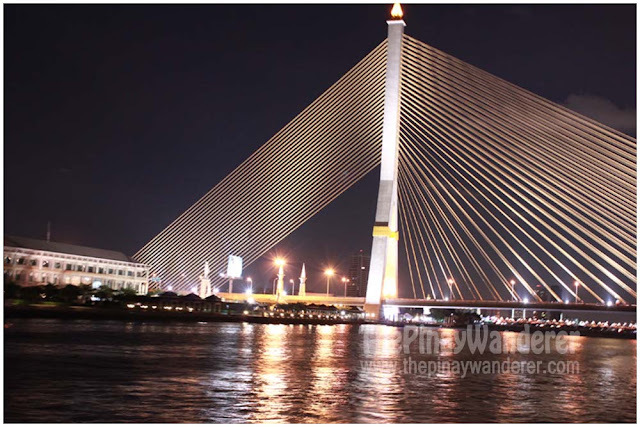 Since we don’t have any plans for the night, we decided to take his offer and bought tickets (1,100 baht per person with buffet dinner) for the Chao Phraya River Cruise. We left the Grand Palace at around 4PM, hoping to get to the hotel first and have a change of clothes before 6pm, the scheduled pick up time for the cruise. But as I wrote in my previous post, it's so hard to get a cab in Bangkok; most cab drivers wanted a contracted fare rather than metered one. Others agree for metered fare provided we agree to use the express way and pay for the toll fee. And just like our earlier stint in Chatuchak Market, it took us more or less an hour before we got a cab. 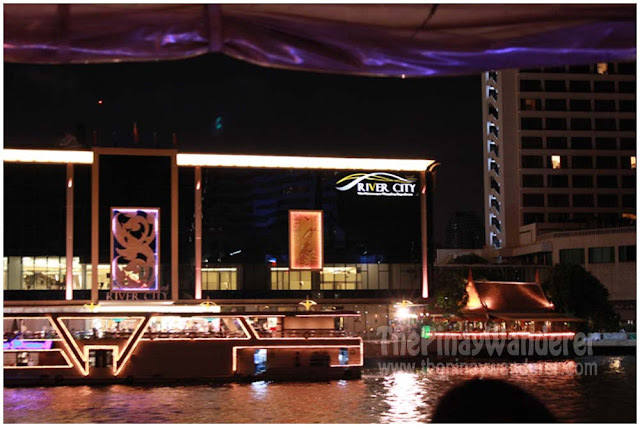 Because of this and considering the heavy traffic, we decided to head directly to the River City Mall, a high-end mall along the Chao Phraya river where the ferry port is located. 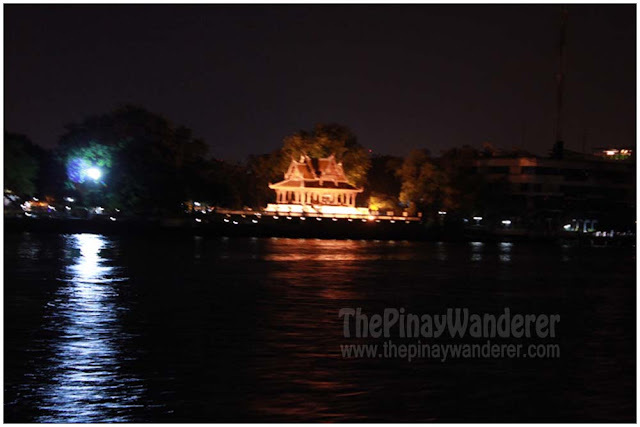 The fee for the Chao Phraya River Cruise is a bit pricey considering that we’re on a tight budget, but in the end I guess it’s all worth it. 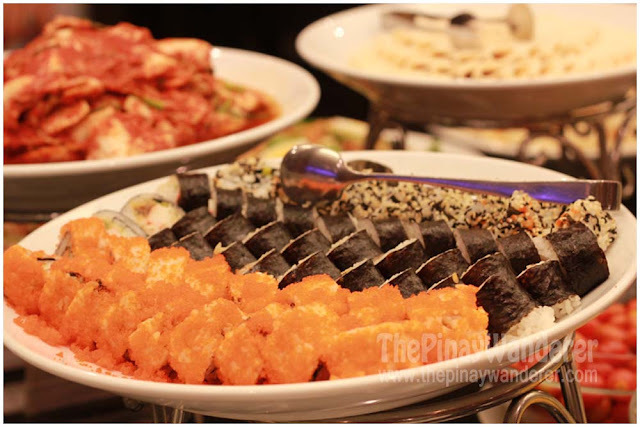 The foods were great, with considerable selection of international dishes served all throughout the trip. 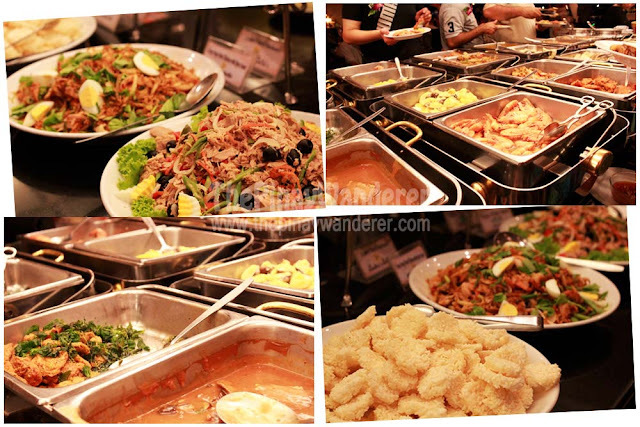 Plus it was a buffet meal, as compared to the 700 baht that my friends bought (for set meal only). Theirs were 400 baht less than what we bought but they said the foods were not good, they were all half-cooked, they weren't able to enjoy it. 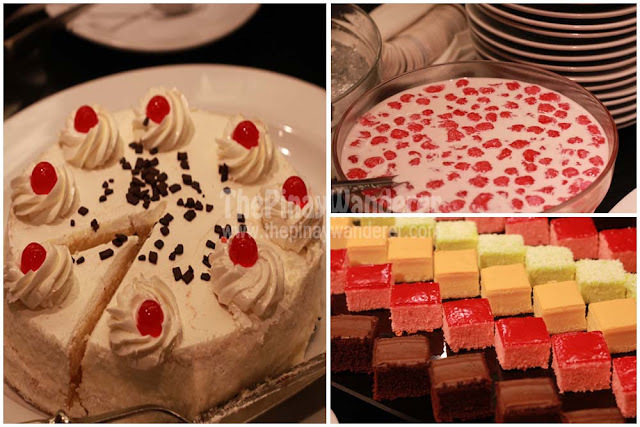 Anyway, here are some of the foods (photos) that were offered in the Chao Phraya River Cruise. We chose to have a seat on the upper deck of the ship so that we would be able to enjoy the scenery. And it was such a good choice! Everyone on the upper deck is on festive mood – singing, dancing, and partying. All were enjoying the foods and drinks, as well as the panoramic view along the river. I’m glad we had this tour; it was really a wonderful and memorable experience, my first-ever river cruise experience! 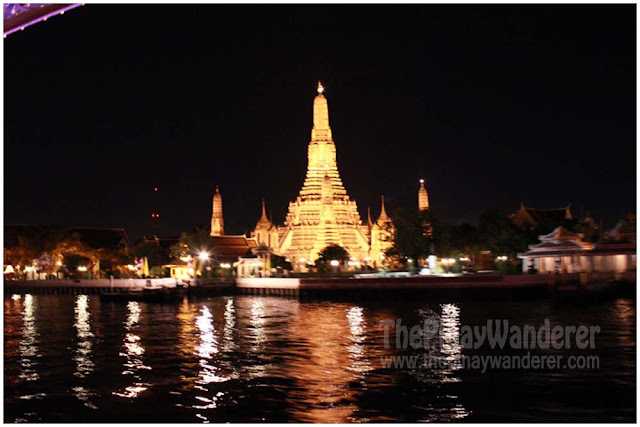 Another thing that I enjoyed in this cruise was the chance to capture the scenic beauty of Bangkok during the night. Unfortunately, I am just a frustrated photographer so pardon me for spoiling those views. Here are some of the images that my camera lens had captured. ang ganda ng suspension bridge no! 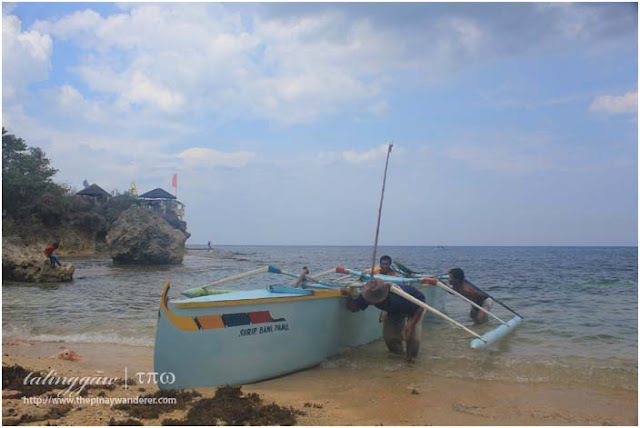 Ang saya nga ng cruise! Ganda nun bridge.. at parang ang sarap ng food, lalo na yun cakes!! natawa naman ako sa haunted house..
Medyo pricey nga pero as long as na enjoy nyo at kakaibang experience din yan e ok lang minsan lang naman yan. Dami lafang ah! Awesome vacation and the food sis super mouthwatering he he! Aww mas maganda pala sa gabi ang mga tanawin dyan, mas naemphasize ang mga building structures, ganda nung Grand Palace. Thumbs up! WOW! love the place.. and the food! lol!